And you thought Ikea was big? 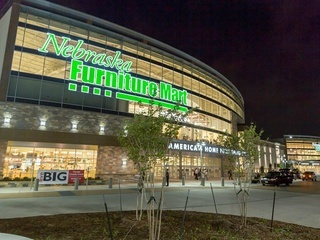 It's hard not to be curious about The Colony's Nebraska Furniture Mart, a 560,000-square-foot, Berkshire Hathaway-owned behemoth that is the largest outpost of the largest furniture store in North America. Whatever you are seeking — indoor and outdoor furnishings, appliances, lighting, flooring, rugs, electronics — the store aims to provide at competitive prices, from modest to high end. The ultimate reward after a visit is the in-store See's Candies.